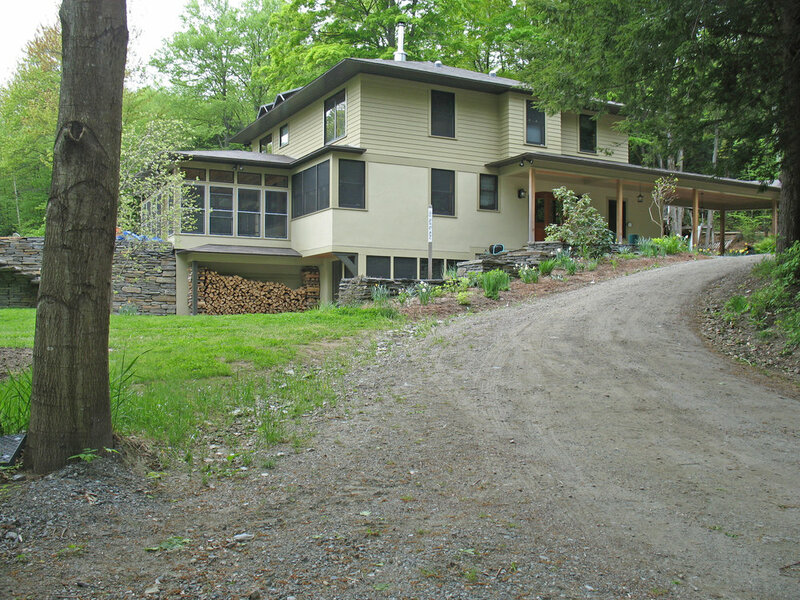 West West — Vermont Architect. This is a large family home with a Midwestern influence. The house replaced an aging hexagon shaped house on the site and, although the new house is larger, it allows more yard space, partially through the use of beautiful stone retaining walls. A common feature here in Vermont. 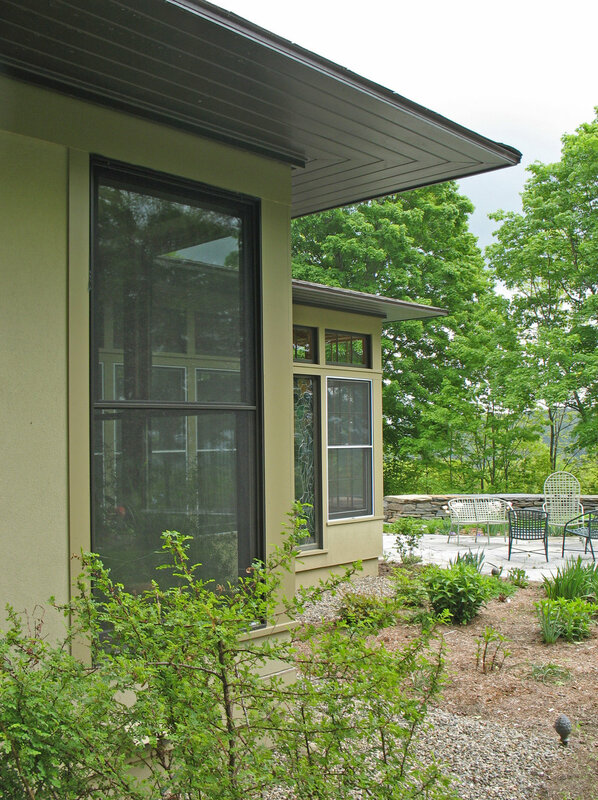 An unheated sunporch is a useful feature in all but the coldest and darkest months of the year. Interiors feature plaster walls, a bread oven and a simplified timber frame.